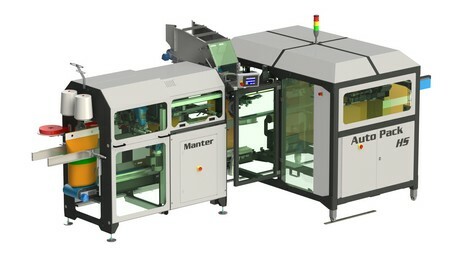 The Dutch company, Manter, is bringing the newest generation of bag placer and semi-automatic bagger to the market - the Bag Placer and SemiPack. Together, a combination of these machines is called the AutoPack. This new generation bagger excels in the area of capacity, ease of use, and reliability. It can also process sustainable paper packaging, fully automatically. "This is a must for every onion processor and seedling grower", says Michiel Eilander, Commercial Manager of Manter International BV. There are two versions of this modular combination bag placer and semi-automatic bagger on offer - the AutoPack and the Autopack HS (High Speed). The AutoPack can reach a capacity of 15 25 kg bags per minute. 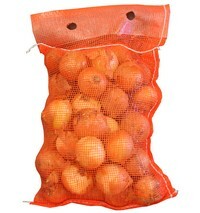 The High Speed version can reach a capacity of up to 20 of these bags in the same amount of time. “With these speeds, Manter is unequalled,” says Michiel Eilander, proudly. Both machines can be offered as independent machines. The separate machines are sold under the names, Bag Placer and SemiPack. Both machines, therefore, have their own control panels. However, when combined, the machines have a single control panel. "The combined machines can be adjusted from one point. Different weights and types and sizes of bags can be chosen. This single control panel optimizes ease of use." Manter has been bringing the MBP and SAB to the market for 15 years now. Over the years, this company's machines have become well-known their ability to process different bag formats. "We integrated servo-technology and improved software in the machines. This ensures that the next level of reliability is reached for the various bag dimension", explains Eilander. “In this way, we can control the different movements in the machines even better. This then further increases its reliability." The AutoPack is also suitable for the completely automated processing of paper bags. This is in response to the increased demand for sustainable packaging. Paper packaging is placed in the Bag Placer's storage compartment. These are then fed automatically to the machine's sewing line. This creates a fully automated solution for the use of loose paper bags for packaging.